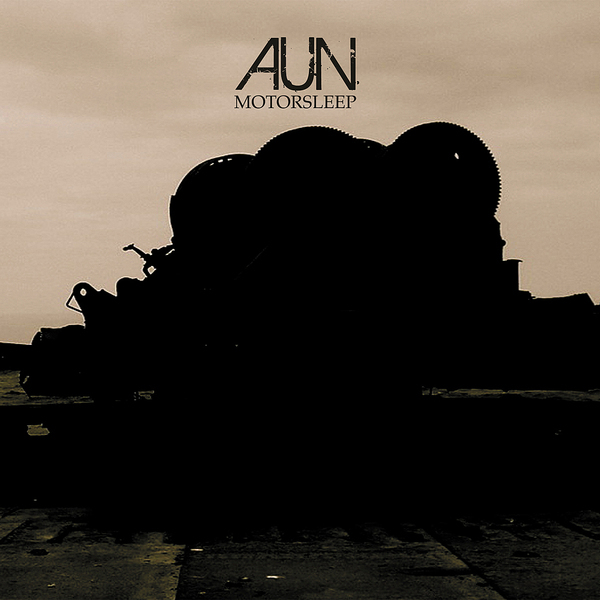 "AUN is the ambient doom project of Montreal's Martin Dumais. who describes his take on outsider metal meets shoegaze as 'blight metal'. He has been a crucial contributor to the Montreal music scene for years and has recently reinvented himself with some of his deepest and most contemplative work to date under the AUN moniker. Elements of Aun's sound can be traced to the classic period of ambient music marked by the likes of Cluster & Eno as well as to contemporary players such as Tim Hecker. On "Motorsleep" the intensity of the drone gently climaxes to the point where ambience gives way to power and grandeur. It is here that the influence of early industrial music is revealed and trace elements of bands such as the Swans lie just beneath the surface. "Motorsleep" is the result of the better part of a year's work spent shaping and solidifying the body of compositions that make up the recording. There is a strong sense of structure, continuity and flow that breathes throughout the long player. The release is broken down into seven movements all of them blending into one another almost seamlessly. The intensity slowly picks up over the course of the first few movements and reaches full power during the third and fourth pieces. Here the sound is rather dense and saturated with grainy ambient noise that slowly subsides and eventually gives way to a series of closing movements that recall the likes of Fennesz or a more menacing William Basinski. In a live situation AUN crafts his sound through guitar and a bevy of effects, offering a far more engaging visual experience than your average laptop based performance. AUN's live show has been steadily improving alongside his recorded efforts and "Motorsleep" is without a doubt his most mature work to date. "Motorsleep" was skillfully mastered by former Khanate member James Plotkin, who has created plenty of like-minded music of his own over the years. To date AUN has released three solo records as well as a collaborative effort with Allseits on Montreal based label Oral and more recently released another outing as AUN entitled Multigone for the American label, Crucial Blast."